When it is roof replacement time, call Nexterior Construction. We install premium-grade roofing products, Malarkey and IKO – two of the most reputable roofing manufacturers today. You will select from several types of fully warrantied, Class 4-rated asphalt shingles. These shingles are tough enough to withstand Nebraska hailstorms and come in a variety of attractive shades and textures to complement your home’s design. We also install quality metal roofing. We are a locally owned and operated company with four generations of experience building and remodeling homes in Eastern NE and Western IA. Our installers are highly trained and experienced, and fully comply with city and state building codes. We walk you through every step of the process from meeting with your insurance agent and adjuster, to walking through the final inspection when the job is complete. Contact Nexterior Construction to receive more information about our roof replacement services, and a complimentary consultation. Nexterior Construction offers roofing repair unmatched by other contractors in Eastern Nebraska. We are committed to providing the best customer service in the industry. With quality installation, today’s Class 4 asphalt shingles rarely require roofing repair, but if a problem should arise with your new roof, our contractors stand ready to identify and correct the problem. Our extensive customer files enable us to track customers and projects indefinitely. If you are in need roofing repair contact Nexterior Construction today and set up a consultation and site inspection. Hopefully you only need a roofer a few times in your life, but it is good to know a roofer you can depend on when Nebraska storms ravage your home. 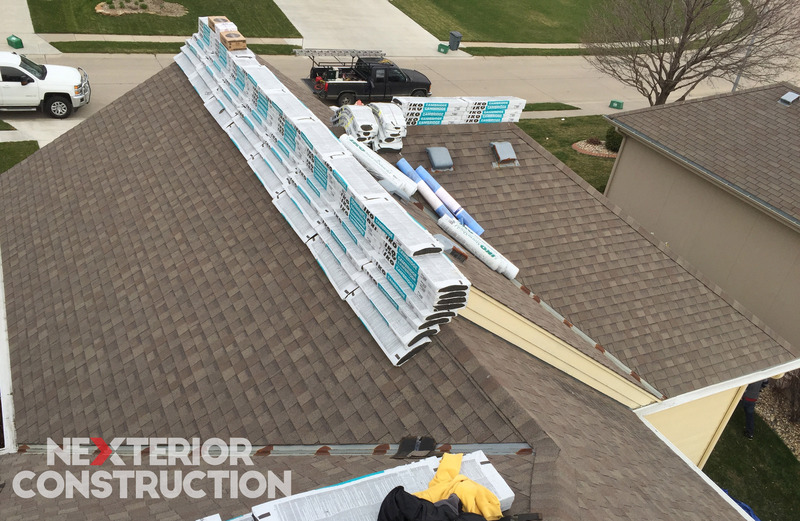 Nexterior Construction is the roofer you can depend on for sound, innovative and sensibly-priced home improvement solutions to Eastern Nebraska home. Our customers have come to know that four generations of residential construction and remodeling experience keep make us focus on quality workmanship and customer satisfaction. We install only quality products like Malarkey and IKO. Our installers are highly trained, courteous, customer focused, and follow all city and state building codes. We make sure the customer is informed every step along the process. We are not finished until the customer is satisfied with the product and process. Call Nexterior Construction today to setup a no obligation appointment to discuss your roofing needs. You will come to enjoy the relationship like all our other customers.